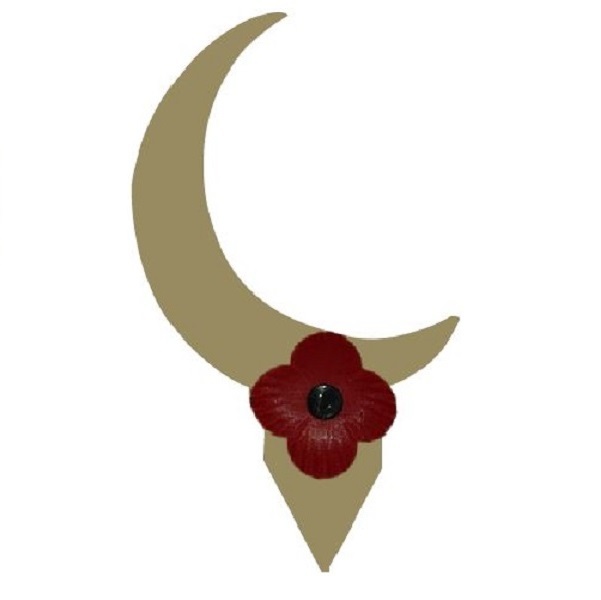 “The Unknown Fallen – the Global Allied Muslim Contribution in the First World War” is a recent publication by the Forgotten Heroes 14-19 Foundation. The deeply moving photography in the book captures the raw human courage, sacrifice and fellowship of soldiers during the World War One. The pain and fear that, undoubtedly, the soldiers must have been experienced, permeates through the pages . But the most powerful heart-stopping image for me depicts a group of Christian soldiers praying with a priest, possibly before going into battle, whilst just a few feet away, Muslim soldiers are prostrating, bowing their heads in worship. Incredible stories of fear, hardship, courage and perseverance are told. The Unknown Fallen takes the reader into a dark world, full of death and separation and one that we can only hope the world never witnesses again. A world where Muslim, Christian and Jewish clergy were fully versed in the methods of performing the last rites related to each other’s faiths. Because it was inevitable that at some point they would be called upon to do so. A dark world, but one where there was the utmost respect for diversity and ‘the other’ – because the other was my brother and they were fighting side by side, not just for each others lives, but ours as well. Sunday 11th November 2018 marks exactly one hundred years since the guns fell silent and the world, finally, after four long years, saw the bloodiest conflict in history come to an end. A war that witnessed 16 million people die. Across the country at 11.00am people will stand in solemn silence, bells will toll and we will remember all those men, fathers, sons, brothers, uncles and nephews, who died so that we might enjoy the freedoms that, sadly, they never survived to experience. I was recently privileged to attend a memorial at the Peace Garden in Woking. The event was a dedication to those brave soldiers who fought and died as members of the British Army. But let me be more specific. The memorial was a dedication to the thousands of Muslim soldiers who fought for Britain in two world wars and subsequent conflicts, giving you, me and our future generations the freedoms we enjoy today. They fought against oppressors, racists, bigots and haters. They fought against nations that did not value democracy, diversity or the rule of law. The reality is however, that if you were to ask the ordinary man woman or child in school about who fought for Britain in the wars, very few would be able to tell you that recent figures estimate that four million Muslims contributed to the allied cause either as soldiers or labourers. There is nothing glamorous or thrilling about war and conflicts. Battlefields are not exciting places – they are places of horror, where friends and comrades have to witness each other being blown apart, bleeding to death, losing limbs and calling out the names of their loved ones who they know they will never see again. Wars are abhorrent, they are horrifying, they are destructive and they are never the way to peace. We must never forget the sacrifices made by all those brave men, but we must endeavour to ensure the world never sees such conflicts again. It has only been recently that the contribution of Muslims to the world wars became known, and certainly this seems to be a very well-kept secret. Perhaps modern day populist movements might benefit from learning not just about the lessons and horrors of war, but about this secret as well. More recent estimates suggest that potentially 4 million Muslims contributed to the allied cause either as soldiers or labourers, a figure known largely in essence to the research undertaken by The Forgotten Heroes 14-19 Foundation and published in their book. This is a history book with a difference and one that needs to be part of every school library across the country. The book opens up a whole new dimension in relation to the wars and the contributions made by many nations including Pre-partition India, Africa, Russia, the Far East and the Middle East, which until today have been largely unrecognised. Until recently for example it was not known that British India sent 1.5 million men to war in Africa, Asia and Europe during World War 1 and of these 400,000 were Muslims. “Among all the trials and danger, they kept their calm, their fatalism, and the enduring dignity of their profile”. In 21st Century diverse Britain, we have a duty to salute, remember and make others aware of these heart-rending stories of all these individuals and the sacrifices that were made by Muslims. A group that sadly, is all too often, demonised because of the actions of a very tiny minority. Certainly elements within society seek to divide communities and use the actions of these elements to promote an anti-Muslim, racist narrative that seeks to demonise British Muslims. We need to understand that these wars were not European wars fought just by white men. They were World Wars in every sense of the phrase, wars that saw people from across the globe, of all colours, religions, traditions and cultures, fight and die for the freedoms we enjoy today. This is not about glorifying war, it is about remembering those who those fought side by side hand in hand for the common good..
We must teach our children, in home and in school, that in diversity there is beauty and there is strength. We all owe a debt of gratitude to ever single individual who gave their life, so we could live a peaceful one. We would do well to remember.